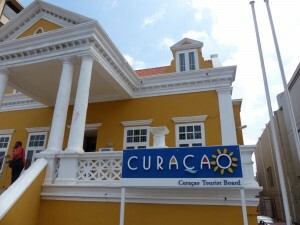 WILLEMSTAD – Curaçao Tourist Board (CTB) and the Ministry of Economic Development (MEO) utilizes the ‘Turistika Model’ to calculate the economic impact generated from the tourism industry. During the first month of 2017 we see an increase of 2.8% direct impact to the local economy. A direct impact of $ 51.2 million US dollars is generated for the local economy. Last year January generated $ 49.8 million US dollars. 53.3% of the total direct impact is generated from European visitors who are responsible for $ 27.4 million US dollars. The North American, South American and other regions generated respectively $ 12.8, $ 8.5 and $ 2.5 million US dollars. The total spending per visitor derives from the number of nights spent on island. Growth to the local economy is due to the fact that visitors from the European region stayed longer on island. Curaçao welcomed in total 38,744 stayover visitors in January 2017, a decrease of 7% compared to the same month last year. Half of all stayover arrivals are from Europe. We welcomed in total 19,300 stayover visitors from Europe, where both target markets The Netherlands and Germany registered positive results. Stayover visitor arrivals from North America decreased by 4%. In absolute numbers, we welcomed 8,406 North American visitors. The region holds 21.7% market share of all visitor arrivals to Curaçao and is the second largest region that contributes to visitor arrivals in January. Although all South American markets report significant growth, the 50% fall off in tourists from Venezuela, has caused a decrease 22% for this region. In January we welcomed a total of 7,808 stayover visitors from South America. From the Caribbean we welcomed 2,273 visitors, an increase of 2% compared to January 2016.